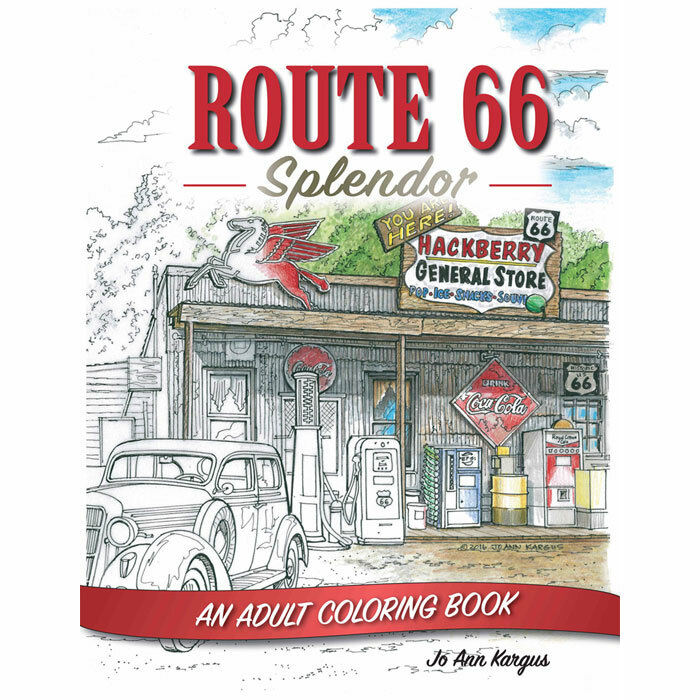 Jo Ann Kargus’s drawings for “Route 66 Splendor: An Adult Coloring Book“ are all hand-drawn. Architectural details of each subject are featured, but the overall drawing is simplified into a pleasant composition awaiting your finishing touches. These fifty drawings are of some of The Mother Road’s most famous landmarks from Chicago to LA. Color and create art without the panic of looking at a blank sheet of paper, not knowing where to start. Buy and bring it with you on your own road trip, or enjoy it from your own home. 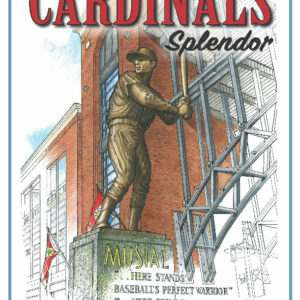 Route 66 Splendor: An Adult Coloring Book will get you started. You do the rest.